Clashes and scuffles broke out in Jerusalem's Old City as well as in other locations, including Hebron, Bethlehem and the Nablus area in the West Bank, after the main weekly Muslim prayers, but the unrest was limited so far. Jerusalem: Palestinians clashed with Israeli security forces on Friday in Jerusalem and the occupied West Bank after calls for a "day of rage" over US President Donald Trump's declaration of Jerusalem as Israel's capital. 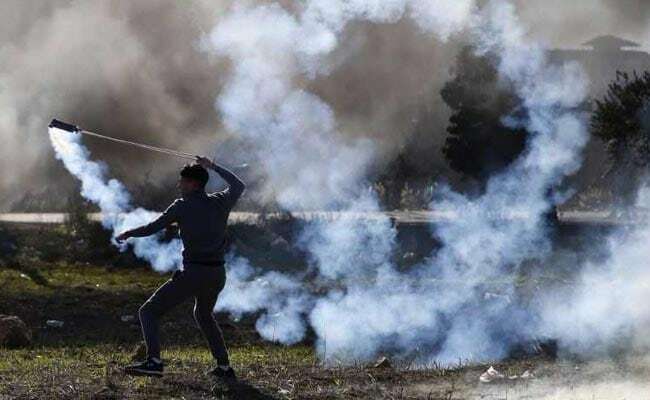 Palestinians in some areas threw stones at Israeli forces, who responded with tear gas and rubber bullets, AFP journalists reported. In Jerusalem's Old City, about 50 police pushed back some 200 demonstrators while kicking and hitting them with their batons. The Palestinian Red Crescent reported one person wounded from live fire and 12 from rubber bullets so far. Several hundred additional police were deployed in and around east Jerusalem's Old City, the location of the Al-Aqsa mosque compound, the third-holiest site in Islam and where thousands attended the main weekly prayers. Israel's military has also deployed hundreds of reinforcements to the West Bank. "It's empty talk," a 20-year-old man who only gave his name as Omar said of Trump's decision as he walked toward Al-Aqsa for prayers. "No matter what happens, we know Jerusalem is the capital of Palestine, not of Israel. Israel is an occupier."